When I received an email from Victoria-based queer author A.A. Riley a few months ago telling me about her book Introducing Sophia Firecracker, which is a first chapter book for 7 to 10 year-olds, I wasn’t sure if I had the know-how to read a book for this age group; I have plenty of experience reading young adult fiction, but this book was a jump a bit younger (and significantly older than the books I’ve read to the three-year-old in my life). 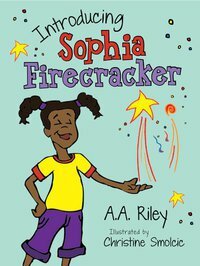 Luckily for me, nine-year-old Sophia Firecracker, as you might expect given her name, is a quirky, lovable character from the start regardless of the age group the book is meant for. What other kid calms her temper by repeating the phrase “I am not an eggplant” under her breath? Sophia, feisty like her name (which is also that of Sophia Pooley, a Black slave who lived in Waterloo County in Ontario), is a wannabe superhero, desperate to get through “Kid school” and into “Superhero College.” Of course, being this kind of girl doesn’t help her get along in the real world, so her principal suggests that she think of her teacher Mrs. Greenbean as a superhero, hoping this suggestion will ‘improve’ Sophia’s rowdy behaviour. Sophia takes this to mean that her teacher is actually a superhero; this is, of course, a dream come true for Sophia and tons of other kids. Along for Sophia’s quest to investigate her superhero teacher is Justine, her green vegetable loving friend, whose hair appropriately resembles a piece of broccoli in Christine Smolcic’s illustrations. Trailing behind, pretending he doesn’t want to hang out with the girls when he really does, is John Paul. In true Gilbert Blythe form, John Paul pulls Sophia’s pigtail in the first scene in which he appears, epitomizing that classic elementary school communication style where bugging someone means you want to be friends. Obstacles to the exploration of Mrs. Greenbean’s true superhero identity include the fact that Sophia’s superpowers, lacking practice as they are, often fail her; Mrs. Greenbean sending Sophia to the principal’s office; and John Paul’s meddling. You can pick up a copy of Introducing Sophia Firecracker in Victoria at Munro’s Books on Government street (one of my favourite bookstores!) and Tall Tales Books on Fort street, as well as from Riley through the book’s website. It’s also available at the Greater Victoria Public Library and the Midway Public Library in Midway, B.C. It’s a great read for the young reader moving onto chapter books who has a keen sense of the hidden superhero in all of us. 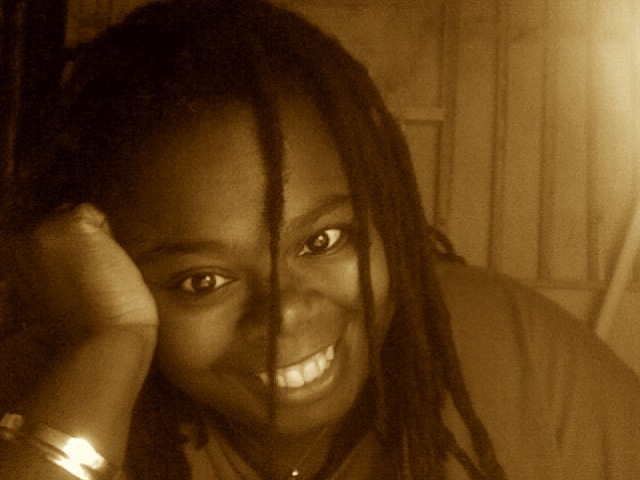 This entry was posted in Black, Canadian, Fiction, Queer, Victoria and tagged African-Canadians, books, children's books, feminism, literature, slavery in Canada. Bookmark the permalink. You found the review! I was just about to email you to let you know it was up. Such exciting news about the superkids tour! Good luck! I’ll share that on my facebook and twitter as well, so it reaches as many people as possible!